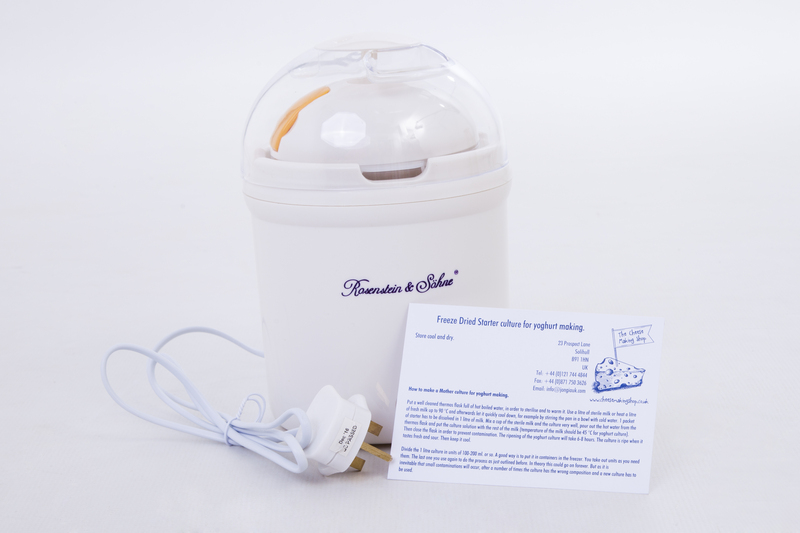 Electric yogurt maker, includes 1 litre yoghurt container. LED light, timer and yogurt culture (1 envelope with 3 sachets) Makes 1 litre at a time. 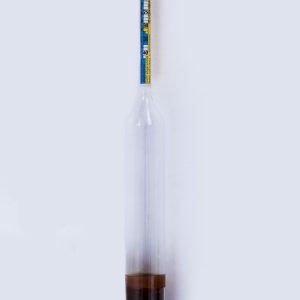 Using the enclosed culture, you do not need to buy new culture for many months. 9 watts, 230 V/50Hz, CE approved. 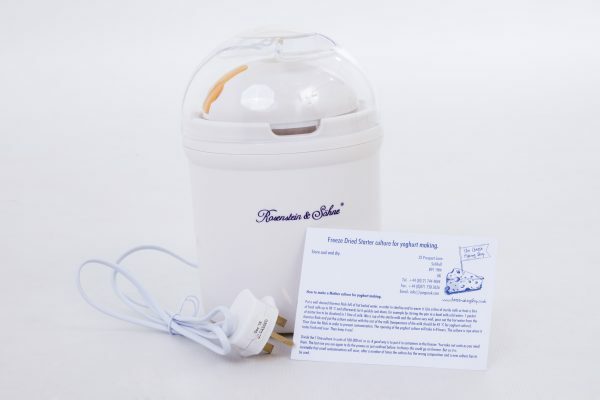 Odd that you advertise the Rosenstein & Sohne yoghurt maker, but send one by Duhalle. It appears to be the same kit, and anyway, it is working well. The supplied yoghurt culture gave a poor result, but the instructions are deficient. Excellent result using bought natural yoghurt, and on using the end of that batch. A good replacement for the discontinued Lakeland model. Where did you see this? Rosenstein & Sohne I think you made a mistake. 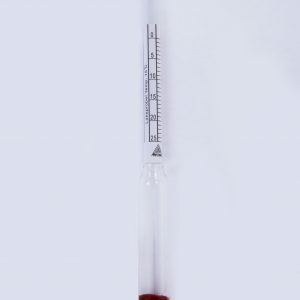 Brinometer – Measure your salt level. The Brinometer is used to establish the salt concentration in brine. 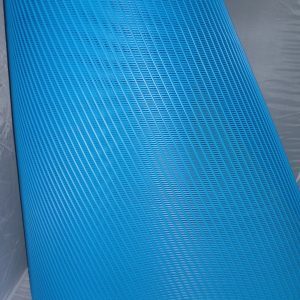 Cheese mat, blue 70cm wide. 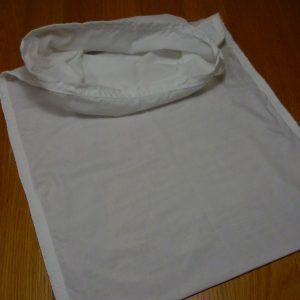 Top quality, very sturdy mat. Sold per running meter.